Pope Francis held a spiritual retreat at the Vatican with political adversaries from Southern Sudan together. This was at the Santa Marta house. 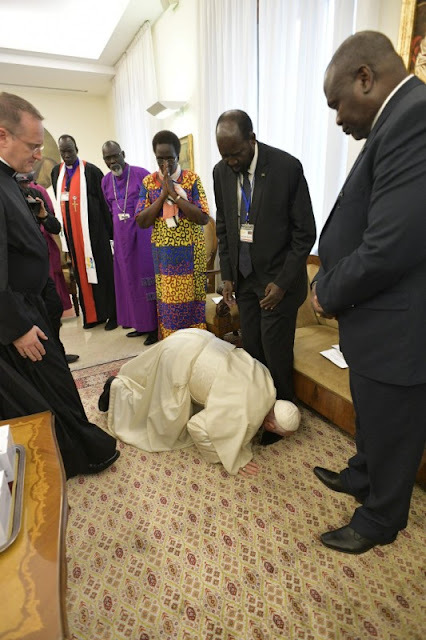 During the meeting Pope Francis fell to the ground before the leaders to kiss their feet. The purpose of the meeting is to restore peace to the country which is at civil war. Pope Francis asked them “from the heart and with their deepest feelings” to keep the peace.